NJW, your Columbus, Ohio contractors, likes to pass on information to consumers that might help you select a good contractor versus a “not so great” one… as we have said before, not all contractors are created equal. We pride ourselves on our work and want to ensure you make decisions that are in your best interest. One topic we want to address is attic inspections and why they are important to the project. Most roofers feel that an inspection of the roof’s surface—from the ground, or on the roof provides enough information to prepare an estimate, but we feel differently. Contractors should let homeowners know up front that they’re going to be looking in the attic. Since many roofs are installed over one or two layers of existing asphalt shingles, the company has to know if there’s any rotten decking or framing before it installs underlayment. And the best way to do that is by getting in the attic with a flashlight. You just don’t know what you are getting into until you make that examination. You could tear the roof off and find that $3,000 worth of plywood needs to be installed. Not thrilling news to homeowners, but better to have done it right from the start. Homeowners are often unaware that attic ventilation has anything to do with their roof and how it functions; adding ventilation and insulation is an easy sell, if homeowners know what they’re paying for. Ice damming can be brought on by particularly severe winters. Ice damming, is the logical end result when an attic is improperly vented and lacks sufficient insulation. In such a case, nothing stops the heat of the house from rising right up through the roof which, once warmed, melts the snow that then refreezes at the eave line, resulting in icicles, frozen gutters and downspouts, and rain. 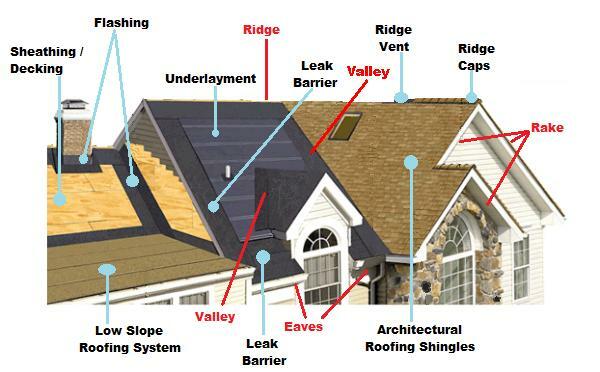 These freeze/thaw cycles create this damming; eventually causing any remaining water that has no way to get off the roof to enter the house through damaged areas of the roof. Typically these damaged areas have been caused by the damming specifically. Water freezes around the roof shingles and as ice continues to build, the weight of the damming increases and causes a glacier effect pulling the shingles from the roof deck. Thus, the opening for current and future damage evolves. Allows estimators to gauge the condition of the framing-to ensure that the roof is structurally sound and can support the weight of new shingle loads. Reveals whether the home’s bathroom or dryer fans vent into the attic, periodically dumping quantities of moist air into the space. Ensures that those insulation levels are adequate and meet new code requirements for the region. Finally, an attic inspection differentiates a roofing company from its competitors. Work with a contractor you trust, we happen to know one that fits the bill! Contact us today!